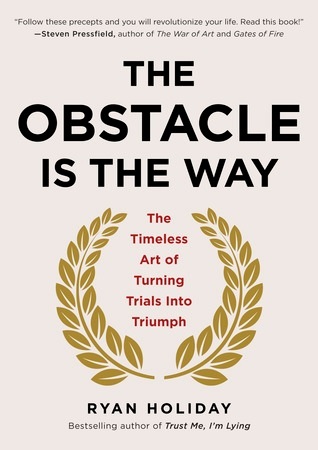 The Obstacle Is the Way: The Timeless Art of Turning Trials into Triumph by Ryan Holiday (Portfolio, $25, 9781591846352, May 1, 2014). Almost 2,000 years ago, Roman Emperor Marcus Aurelius wrote: "The impediment to action advances action. What stands in the way becomes the way." Stoic philosophy advocates enduring hardship and adversity with determination and strength. To the stoic, a new obstacle is an opportunity for improvement. Ryan Holiday's The Obstacle Is the Way was his first offering of ancient wisdom distilled for the modern reader. To control what we can control, to surf life's many waves instead of being crushed by them--these are all admirable goals, ones that have found fans in high places. Many successful figures throughout history have harnessed the strength of stoicism, including John D. Rockefeller, Amelia Earhart, Ulysses S. Grant and Steve Jobs. Today's stoic successes run the gamut from politics/film (Arnold Schwarzenegger), music (LL Cool J), and, to an incredible extent, sports. It's not surprising that professional athletes and coaches would find stoicism useful: physical pain, frequent losses, and the need for constant training make it an almost required philosophy. The Obstacle Is the Way has been a touchdown success among NFL coaches, players and sportscasters, including Patriots coach Bill Belichick. Besides its popularity with athletes (as outlined in this Sports Illustrated article), Holiday's book was featured on a popular TED Talk by author Tim Ferriss, which has been viewed more than 4.7 million times. The Obstacle Is the Way has sold more than 428,000 copies and been translated into 17 languages. 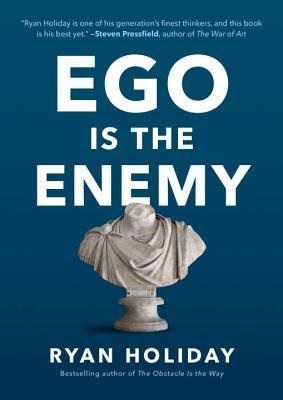 Ego Is the Enemy by Ryan Holiday (Portfolio, $25, 9781591847816, June 14, 2016). In his prologue for Ego Is the Enemy, Ryan Holiday writes "While the history books are filled with tales of obsessive visionary geniuses who remade the world in their image with sheer, almost irrational force, I've found that history is also made by individuals who fought their egos at every turn, who eschewed the spotlight, and who put their higher goals above their desire for recognition." The elevation of the self is anathema to stoicism. Grandiose self-promotion, posits Ego Is the Enemy, is effectively self-sabotage at every stage of one's career. Early on, ego interferes with the ability to learn new skills and practice one's talents. Later, ego can make it difficult to find fault in one's own actions and recognize problems. Ego also makes it more troublesome to learn and recover from failure. Ego Is the Enemy explores the lives of successful people whose personal victories were in part achieved by taking their person out of the way. George Marshall, Jackie Robinson, Katharine Graham, Bill Belichick and Eleanor Roosevelt, among others, changed the world by conquering their own egos. Holiday's book promises to teach that same stoic strength, to give the skills necessary to survive in the age of reality TV and personal brands. It has sold more than 288,000 copies. 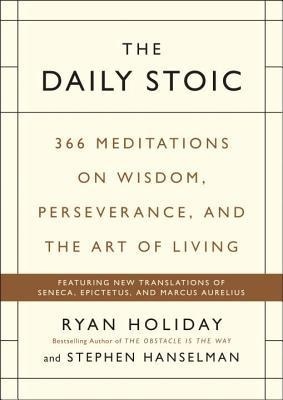 The Daily Stoic: 366 Meditations on Wisdom, Perseverance, and the Art of Living by Ryan Holiday and Stephen Hanselman (Portfolio, $25, 9780735211735, Oct. 18, 2016). With the help of literary agent, publisher and Harvard Divinity School graduate Stephen Hanselman, Ryan Holiday makes it easier than ever to apply stoicism to everyday life. The Daily Stoic features a year of quotes from stoicism's greatest practitioners: Marcus Aurelius, the playwright Seneca, the philosopher/slave Epictetus, as well as lesser-known figures like Zeno, Cleanthes and Musonius Rufus. Holiday and Hanselman give a quote for each day of the year and advice on how to apply said ancient wisdom to modern life. There is a reason George Washington, Frederick the Great and Ralph Waldo Emerson advocated stoicism, and why modern CEOs, football coaches and celebrities have followed that same path. Stoic philosophy holds the answers not only to bearing the many turmoils of life, but thriving in spite of--or even because of--them. The Daily Stoic has been recommended by the likes of Arianna Huffington, Billy Bush, Debra Messing and a slew of senators--Marco Rubio has frequently mentioned it, and Ben Sasse discusses it in his book, The Vanishing American Adult. More than 253,000 readers have been given what Maria Popova, editor of Brain Pickings, calls "a generous gift of guidance on modern living culled from a canon of wisdom hatched long ago." 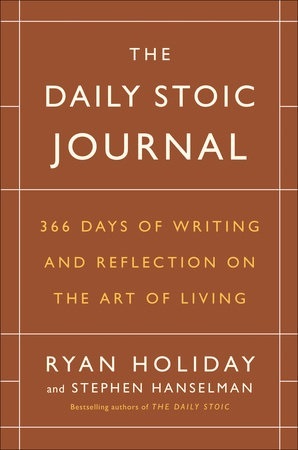 The Daily Stoic Journal: 366 Days of Writing and Reflection on the Art of Living by Ryan Holiday and Stephen Hanselman (Portfolio, $27, 9780525534396, Nov. 14, 2017). For those who have absorbed The Obstacle Is the Way, Ego Is the Enemy and The Daily Stoic, The Daily Stoic Journal is the next step in applying stoicism to everyday life. This hardcover journal, made with Smyth-sewn binding (allowing the book to open perfectly flat without falling apart) offers weekly exercises for practicing the ancient wisdom of the stoics. These practices are paired with quotes from Marcus Aurelius, Seneca and Epictetus, among others, along with questions to gauge one's progress. In 52 weeks, readers can master 2,000 years of philosophy. Even without having read Holiday and Hanselman's previous works on the subject, this journal makes a useful gift for those seeking a deeper understanding to their lives. It has sold more than 36,000 copies.